Tourism is the driving force behind the Antigua and Barbuda nation. It accounts for almost 60% of the gross domestic product. But the gambling license fiscal structure is the hidden motor of its economy. Poker and casino players recognize this place for being a well-known location for online gambling operators. The location of the islands of Antigua and Barbuda lies between the Caribbean Sea and North Atlantic Ocean. They’re situated to the extreme southeast of Puerto Rico. Barbuda is a coral island that measures 0.5 square miles, while the larger Antigua is 108 square miles. It is roughly 2.5 times the size of Washington, DC while being home to over 80,000 residents. If you are looking for another jurisdiction you can find them in our page. In 1994, the government of Antigua and Barbuda passed the Free Trade and Processing Act. This process helped them become the first nation to license and regulate online gaming. The country invested in their technology infrastructure. And with the allure of low taxes, both served to draw many businesses to their shores. By the year 2000, 93 different companies were operating under a license and generating ~$7 billion in profits. This golden age came to halt when the United States began cracking down on online operators. Even a series of anti-money laundering reforms in 2000 did nothing to halt USA actions. By 2002, the number of licensed operators had shrunk to 38, and over 80% had moved their businesses elsewhere by the following year. Antigua and Barbuda took their case to the World Trade Organization in 2003. They claimed that USA actions were illegal and without merit. A ruling came down in favor of Antigua which gave the U.S. a year to correct their behavior after losing an appeal. In the meantime, Antigua brought back income tax for the first time since 1975 to boost their sagging economy. When the United States made no effort to correct their actions, the WTO once again got involved. They delivered a $21 million sanction for the US. And they also ruled that Antigua and Barbuda no longer had to recognize IP rights from the US. This ruling meant that copyrights on American items such as music, books, etc. no longer applied, and Antigua could sell them. The hope was that the American entertainment industry would put pressure on their government to follow the wishes of the WTO. But this did not happen, Antigua afraid of possible retaliation in the form of travel bans to their tourism-reliant nation. Since that time, the two nations have engaged in talks but haven’t found a solution. As of this writing, Antigua is asking for $100 million in compensation. Although their lack of leverage has led many analysts to wonder if a solution is possible. A Personal Information Form. Each partner, CEO and executive must complete one. As well as each shareholder with 5% or greater controlling interest in the company. A completed Business Entity Identification Form. The organization needs to include details about their financial and litigation history. A deposit in the amount of $15,000. This sum is non-refundable. Interactive Wagering License Fee – For those operating a sportsbook, the cost is $75,000 per year. Interactive Gaming License Fee – For those operating an online casino, the annual cost is $100,000. Annual Renewal Fee. The org has to pay a non-refundable renewal fee of $5,000 besides the annual cost. Player Reserve. The business has to transfer at least $100,000 to an account determined by the Commission. This serves as a reserve to ensure that all players receive their winnings. License Fee for Key People. The org has to pay a fee of $1,000 for each key person within the business during the first year of operation. Each following year, the amount is $250 per person. Monitoring System Fee. 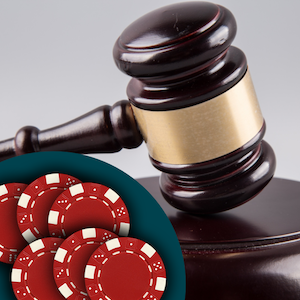 To ensure safe and legal gaming, the Commission has implemented a monitoring program. So foto defray these costs, the operator must pay $25,000 per year for one license and $45,000 per year for two licenses. Besides the previous conditions, the operator needs to have a significant physical presence in the island nation. This requires them to have both their home office and primary server in Antigua. Most gaming jurisdictions have so many license holders that trying to list them all would need a great deal of space. But thanks to the waning status of the industry within Antigua and Barbuda, I’m able to present all their clients for your consideration. I’ve included the name of the licensing company, the website they operate, and the date when their current license expires. Continental Ventures Ltd. – Responsible for Intertops.com, their current license expires in November of 2015. You can look a review about the online site here. Coolidge Sports Ltd. – The operators behind the sportbetting arm of Bodog.co.uk have a valid license until the first day of 2016. Imperial E-Club Limited – The company behind Casinotropez.com has to renew their license on the first day of February, 2015. PT Entertainment Services Limited – Winner.co.uk has their license until December 6th, 2015. Coolidge Gaming Ltd. – The casino part of Bodog.co.uk has a valid license until January 1st, 2016. Gaming Ventures Limited – The license for Sportsbook.com expires on August 2nd, 2015. Lotto Ltd. – The interactive gaming license for Lotto-ltd.ag expires on February 11th, 2016. Zirconium Gaming Limited – The parent company of Winner.com has their license until August 11th, 2015.